We currently have puppies available! 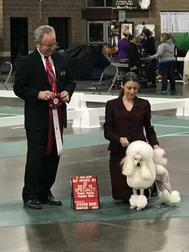 Cinbren Charissa Maezhi (Rissa) is now officially an American Champion! She finished her American Championship with back to back wins. 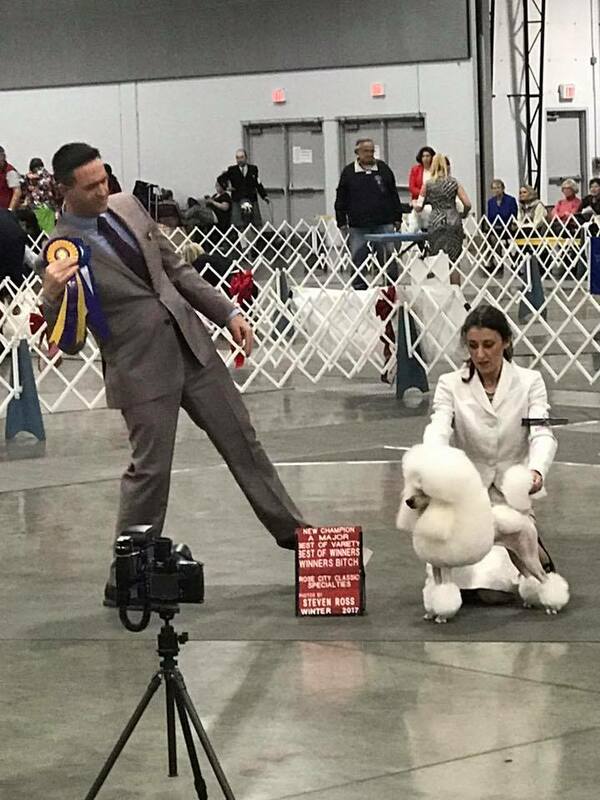 CH Maezhi Mrang Belcourt Ante Up, aka Wager, ​Laetti's daughter from her first litter is now the Number One miniature poodle puppy in Canada! 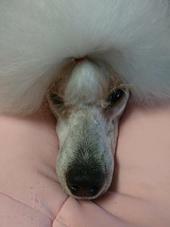 This gorgeous girl finished her Canadian Championship before she turned 8 months and won a Group 3, Group 4, BPIG and BPIS at 9 months of age! She resides in Calgary. 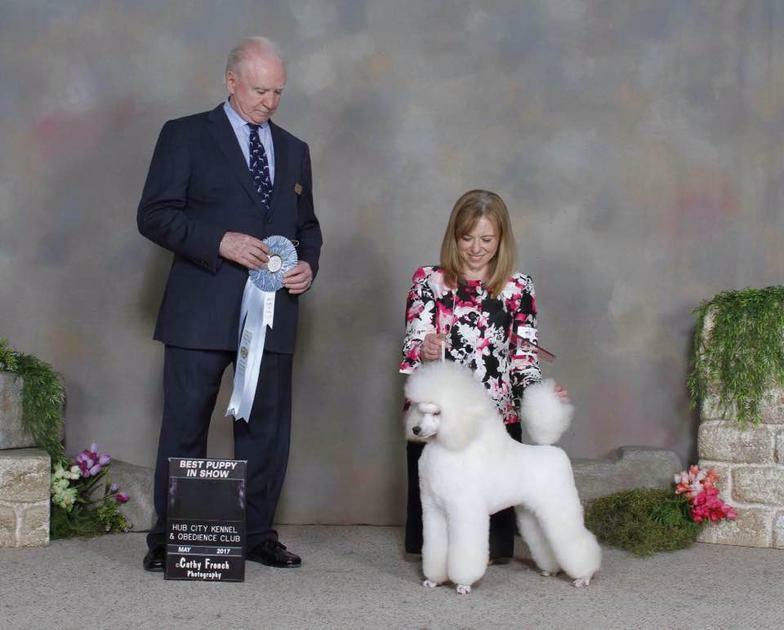 CH Maezhi Beckoning Glory is now a Canadian Champion. Expertly shown by Amanda Williams. 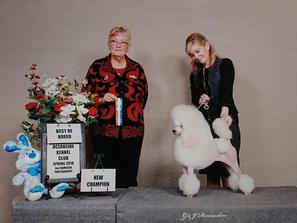 Bera finished her Canadian Championship with limited showings, often winning the breed from the classes.